This updated version fixed a problem with the sortable ranking table that occurred when I added a merge cells format to put my dot-com and email address on that sheet. This updated version is just prettied up a bit on the data entry page and I also included a clickable link to my home page and email address. The functionality of the Calculator was not changed. 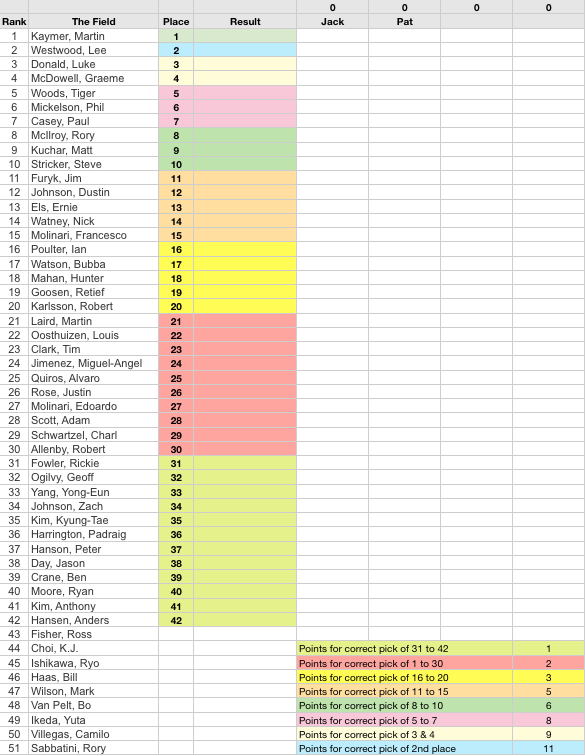 Use this spreadsheet to auto-score an office pool for The 2011 Masters Golf Tournament. The spreadsheet awards points based on a participants correct picks. 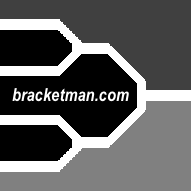 The picks are grouped so picking 3rd through fourth correct gives a certain amount of points, fifth through seventh another set of points, eighth through tenth another so on up to 42 picks. The points awarded are adjustable. The spread sheet includes a ranking table for the participants and the players in the tournament have their world ranking listed. Their is also a money distributor.